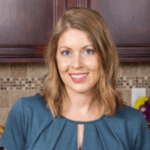 Published: Mar 1, 2018 · Modified: Apr 11, 2019 · By Jen Sobjack · This post may contain affiliate links. Perfectly balance Lemon Cream Cheese Frosting. It’s silky, slightly tart, and a little sweet. Everything you’d expect with cream cheese and lemon flavored frosting! I’ve been working hard to build up my frosting archive. So far, the most post popular frosting is the pineapple frosting. You guys love it! It’s creamy and full of pineapple bits. My 7 Minute Frosting has also been a huge hit! 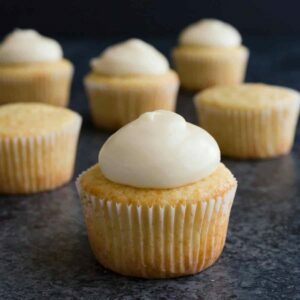 My latest and most favorite is lemon cream cheese frosting. This one took several tries to get right. It’s finicky because cream cheese frosting is already soft. It’s not a frosting that holds up well against intricate piping. Then, if you add lemon curd to the mix, it can get all sorts of soupy. To counterbalance the soupiness, you have to add a billion pounds of powdered sugar. Then you end up with a frosting that’s overly sweet and toothachey. I was on a mission to have a happy balance of creamy, tangy, and sweet. 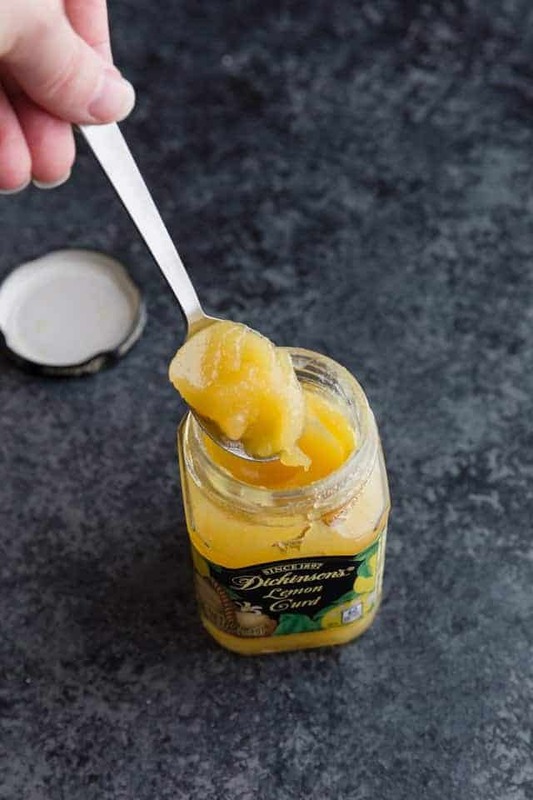 I chose lemon curd because it offers the most natural lemon flavor without being too wet. Lemon juice simply wouldn’t work here. You can add some lemon zest if you find the frosting isn’t quite lemony enough, but I was pleased with the lemon curd alone. My biggest tip for frosting success is to make sure the cream cheese, butter, and lemon curd are at room temperature. It’s so much easier to get them mixed together that way. Kind of tastes like lemon cheesecake! Let’s go over the full list of ingredients and how to combine them. Cream cheese and butter. Mix these two together first. Make sure they are at room temperature and beat them together until they are smooth and creamy. Powdered sugar, lemon curd, vanilla extract, and salt. Toss all of these in at the same time once the cream cheese and butter are smooth. Start the mixer on low speed so the powdered sugar doesn’t go flying all over the place then once it’s almost combined, turn the mixer up to high and beat for a couple minutes. Taste it here and if you feel like it’s just not lemony enough for you, add the zest of one lemon. 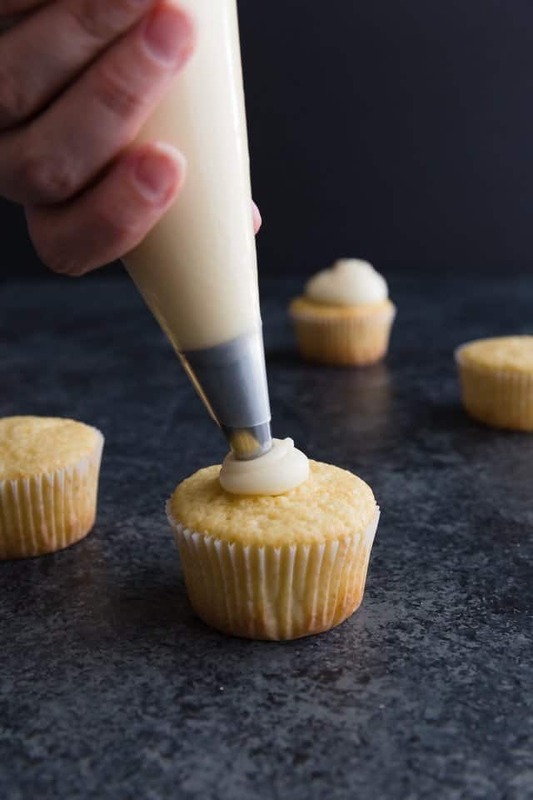 But, resist adding more lemon curd as this could throw off the texture and consistency of the frosting. Everyone raved about this frosting and claimed that it tasted like cheesecake. I’ll agree to that! The cupcakes pictured with the frosting are my favorite vanilla cupcakes. They pair so wonderfully with lemon cream cheese frosting. 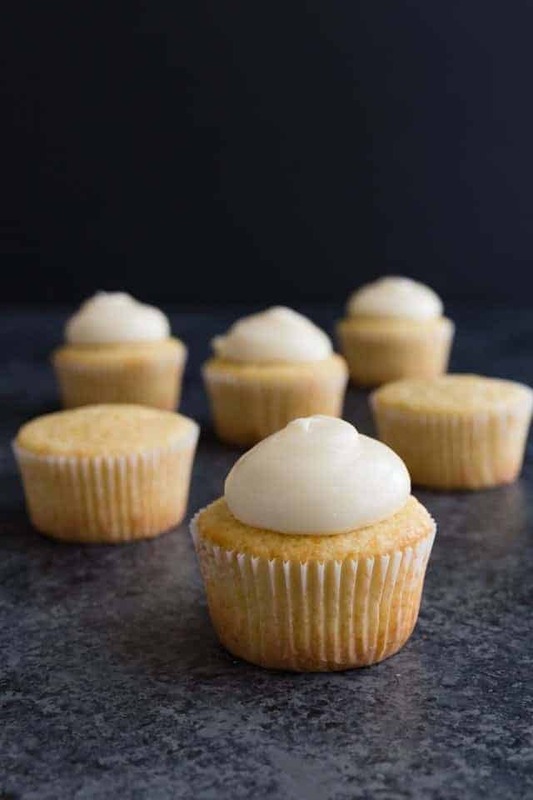 I bet these lemon cupcakes would also be to die for! Add the sugar, lemon curd, vanilla, and salt. Beat on low until just incorporated then turn the mixer to high speed and beat for 2 minutes. Mix in lemon zest if desired. 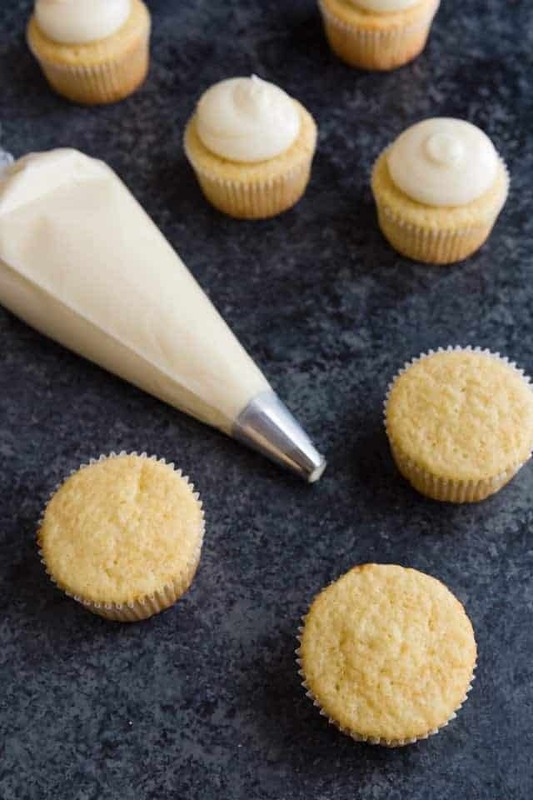 This recipe yields about 2.5 cups which is enough to frost 12-16 cupcakes or one 9×13 sheet cake. The lemon zest is completely optional and may not be needed depending on your taste preference. Hi Judith! I’m so happy to hear that you enjoyed the frosting. I’m sorry I don’t currently have a recipe for homemade lemon curd but you’re more than welcome to use any other curd as a replacement. I would really love to make this cakes but i dont have the electric kitchen appliances. Do i have another option? Well, considering this is a frosting recipe, you technically don’t need electric appliances. Just use a wire whisk and some arm strength to whip it up. 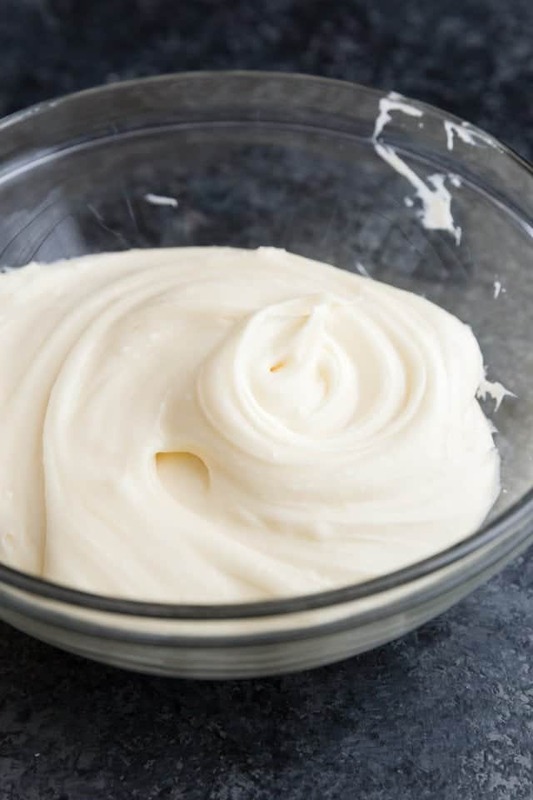 This frosting is one of my favorites! Great recipe! !